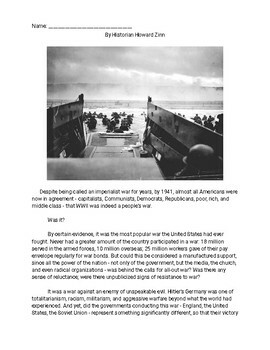 This resource provides background information about why the United States waited to enter the Second World War. 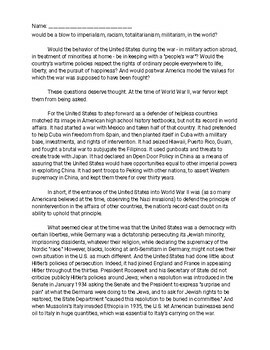 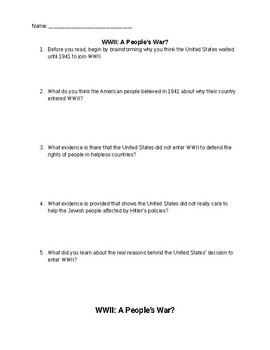 Using modified text from Howard Zinn's "A People's History of the United States" this resource provides a reading and question sheet that requires critically thinking about the text. 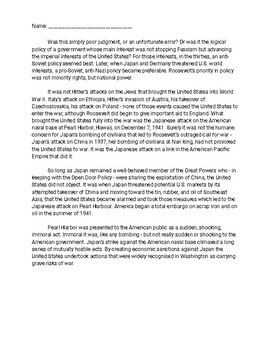 It explores United States actions towards Japan during WWII, Pearl Harbour, and the US response through a critical lens.